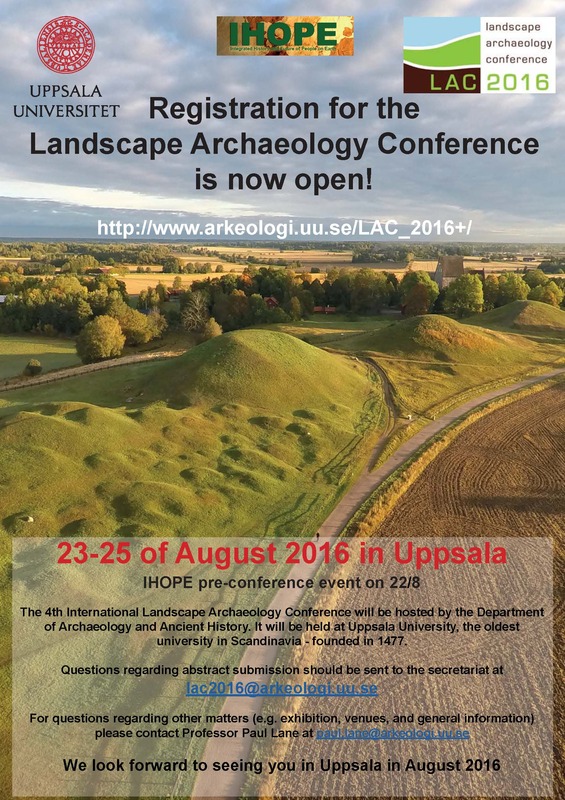 Several members of the REAL team are involved in organizing the 4th International Landscape Archaeology Conference, which will be held at Uppsala University on 23 – 25 August 2016. It is hosted by the Department of Archaeology and Ancient History. 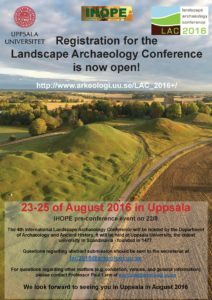 Registration is open until 1 August 2016. REAL coordinator and researcher Paul Lane as well as REAL Early Stage Researchers Anna Shoemaker and Nik Petek are part of the Local Conference Organising Committee. In addition to that, Nik will lead a session on historical photography and imagining the past (“Historic Landscape Photography”), Anna is presenting a paper on “Pottery in a pastoral place: understanding the Amboseli landscape through ceramic analysis” and Paul will host a session on “Landscape archaeology in Africa. New approaches, methods and substantive results”. Have a look at the conference website for further information on the sessions and panels.